Yesterday the US Department of Justice has decided that none of the policemen in Baltimore City will be charged with any crimes pertaining to Freddie Gray's murder in April 2015. If anyone's civil rights, human rights, and social rights were violated on April 12, 2015, it was Mr. Freddie Gray's. 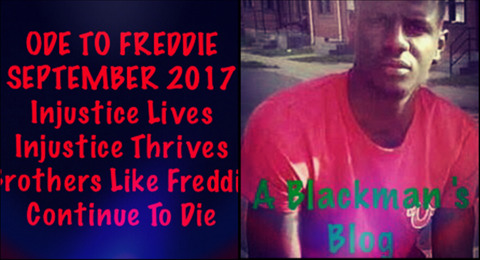 Freddie Gray lived his final physically capable moments of his life in the back of a Baltimore City Paddy Wagon, only to suffer severe spinal injuries during, or before this deadly ride in West Baltimore. 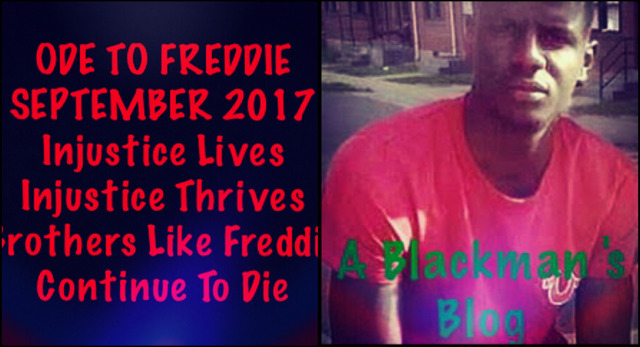 The injuries Freddie Gray sustained eventually lead to his death one week later on April 19, 2015. The city of Baltimore residents seethed as the events unfolded related to the injustice Freddie Gray was subjected to. Eventually, that tension and sense of human despair found its release in the form of a massive civil disturbance that played out on the television screens of America and the streets of Baltimore on April 28, 2015, following the funeral ceremony of Freddie Gray. Although the six officers involved in the death of Freddie Gray were indicted with charges ranging from Illegal arrest, misconduct, assault, involuntary manslaughter, second-degree depraved heart murder and reckless endangerment. None of these officers were convicted of any of these charges that they faced in a Baltimore City Courtroom. Now, we know that none of these officers will face any charges in a Federal Courtroom in terms of denying Mr. Freddie Gray's civil rights. They may lose the right to be police officers, and I say may because of no convictions, and it is questionable to a defense attorney whether any dereliction of duty transpired because of the lack of a single conviction in Freddie Gray's apparent murder. I say apparent murder because it seems that a mysterious body or entity entered that locked paddy wagon and killed Freddie Gray, unbeknownst to any of the patrol officers involved in the arrest and capture of Freddie Gray. It was something X-File like that swooped in did the deed and evaporated into the city atmosphere, really? Injustice my people continues to spread.